"Silver Cascades" was accepted into the 6th annual juried photography gallery exhibition: The Fine Art of Photography. The fine art show features many photographers and is organized by the Plymouth Center for the Arts. The fine art photography exhibition runs from April 10, 2016 through May 14, 2016. The beautifully restored 1902 Russell Library gallery and 18th century Lindens building are just steps from Plymouth Rock and Plymouth’s waterfront on historic North Street. The Plymouth Center for the Arts is located at 11 North St., Plymouth MA, 02360 and open Monday through Saturday, 10 a.m. to 4 p.m., Sundays, noon to 4 p.m. The grand reception and award ceremony for The Fine Art of Photography exhibition with light appetizers and live music will be on April 10, 2016 from 2 to 5 p.m. - I hope you find your way to historic Plymouth and get a chance to see the photography exhibit. 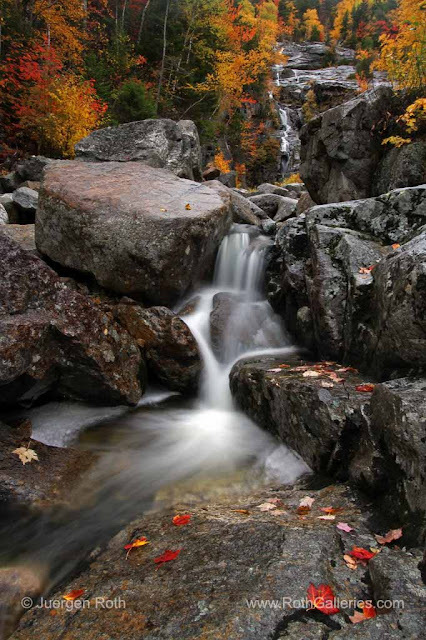 Learn more about the New England fall foliage image of Silver Cascade and Crawford Notch State Park.